Boundary Farm is set in six acres of gardens, woodland and meadows with a number of retired farm buildings. These have been sympathetically converted into three separate holiday homes which can be rented individually or in conjunction with each other. Our two delightfully quirky shepherd huts (each with a double bed) are set apart from the farm buildings and each other in secluded parts of the estate. A charming four bedroom Victorian farmhouse retaining many of its original features. The Hayloft and the Cart Lodge, two bedroom and one bedroom holiday accommodation with wonderful views across the fields. Two fully equipped shepherd Huts set in their own secluded grounds with views across the meadows providing glamping at its very best. All the accommodation is set well back from the road that links Saxtead with Framlingham and there are public footpaths and bridleways nearby in abundance. 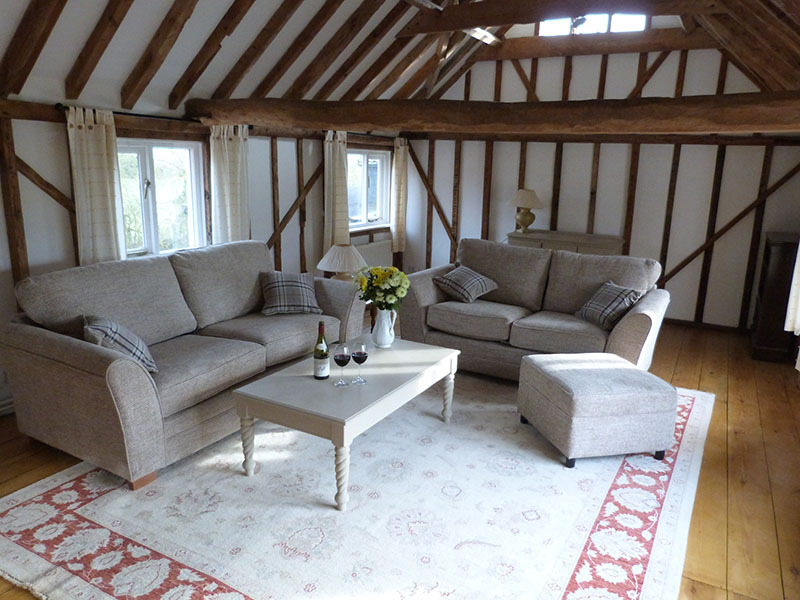 In total the farm can comfortably accommodate family gatherings or friends of up to eighteen people.